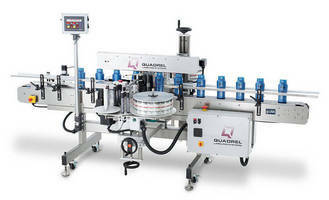 Pressure Sensitive Labeling System serves multi-shift operations. Labeling System labels and organizes contact lens packs. 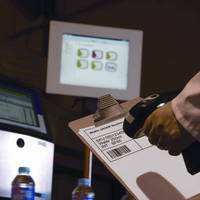 Bar Code Scanning Service provides quality control. 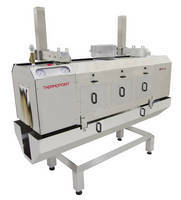 Master Label to Part Label Scanning Technology ensures that product shipped to customer is packed and shipped with proper quantity and parts. 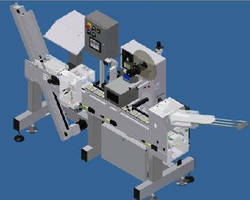 This eliminates chance of wrong parts, mixed parts, or missing parts arriving at customer's site. 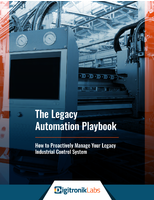 Real-time data facilitates tracking. 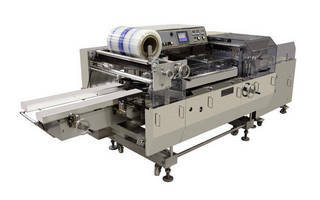 Steam Heat Shrink Tunnel offers repeatability between batches. 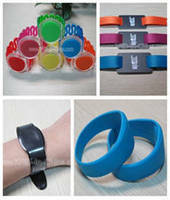 Silicone RFID Wristband increases event/medical efficiency.